Burkas and hijabs are associated with the Islam faith, but many Muslim women wear this clothing simply to show modesty. Various burka styles attach to garments in different ways. Most burkas slide over the head and do not need to be tied. 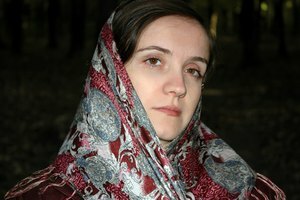 Hijabs, headscarves worn in some Middle Eastern countries, can be worn with a burka or alone. 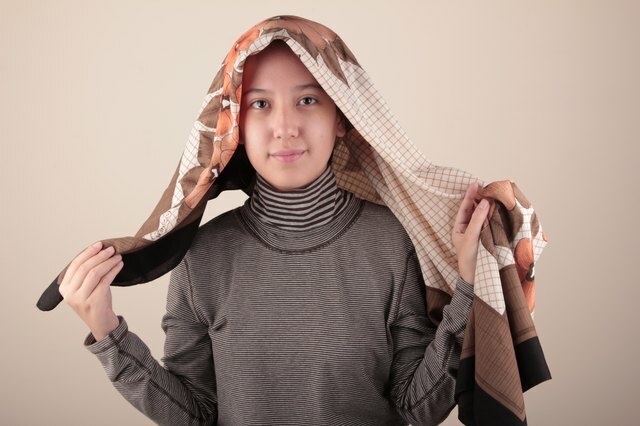 These scarves can be tied in a variety of fashions depending on if your hijab is square or long, like a shawl. Secure your hair in a bun or ponytail, if you have long hair. 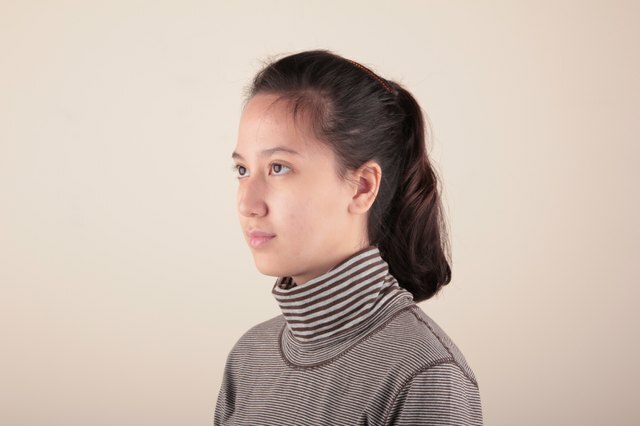 Wear a full underscarf or turtleneck to cover your neck. Fold the scarf in half on each end to make two triangles. One side should be smaller than other. 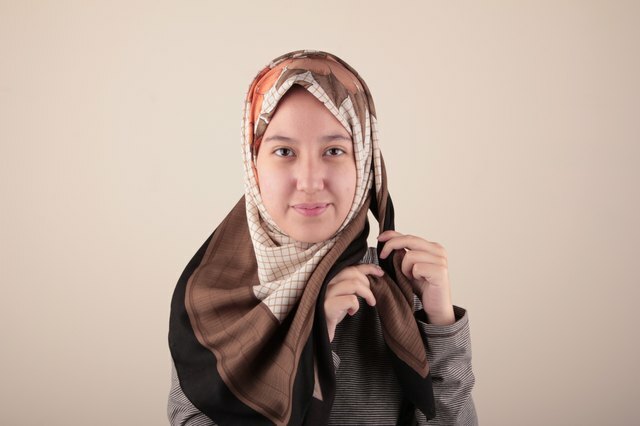 Place your scarf directly on top of your head with one side hanging longer than the other. Hold one side of the hijab or scarf at your temple. Wrap the longer side around your head until it meets your other hand. Tie the two ends in a small knot, or pin them together. Put the burka head piece on your head. 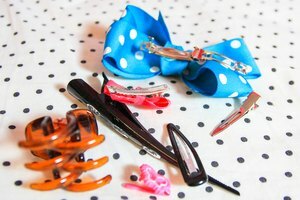 Fasten the head piece by tying the strings in a bow or knot at the back of your head. Some burkas also attach behind the head with Velcro. Tighten the straps on your two-piece burka until the head piece is tight. 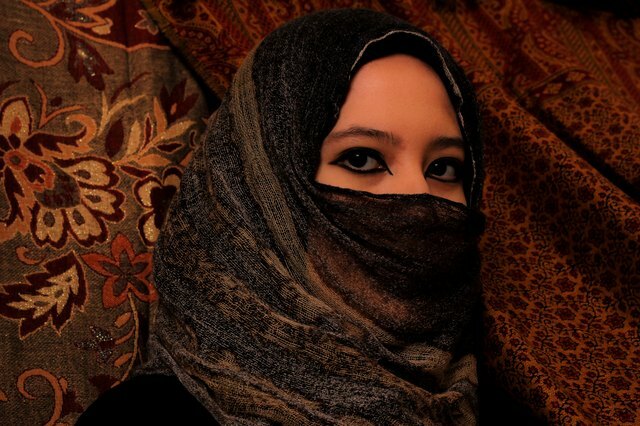 Islam Question and Answer: Do Women Have to Wear Niqaab?